The 32-minute film is about rural-urban migration, unemployment, women empowerment and local government election. 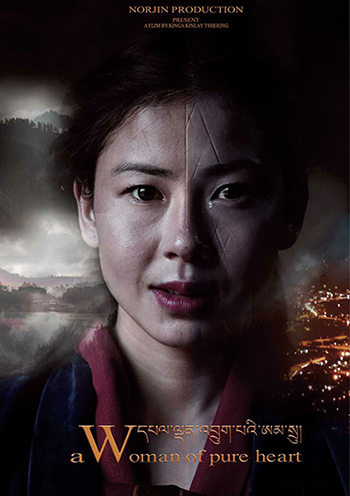 The film, written and directed by Kinley Kinga Tshering, tells a story about a university graduate who leaves her village and travels to a town in search of a job. It also touches on how her life changes after being raped by her in-law and the ensuing struggles she endures, and ends on a positive note with the victim getting elected to run a local government. “Rural-urban migration has become a common phenomenon in the country and with growing population there is also an increase in unemployment issues, and of all women’s struggle,” Sonam Tenzin, the producer said. Sixteen films and documentaries, including an animated film, took part in the contest. Meanwhile, ROW-Hidden Heart, a short film by Karma Lhatrul Dorji, was came second and took home a cash prize of Nu 30,000. The annual film festival was organised by the Film Association of Bhutan in collaboration with Ministry of Information and Communications and the Department of Culture.